Hey all! 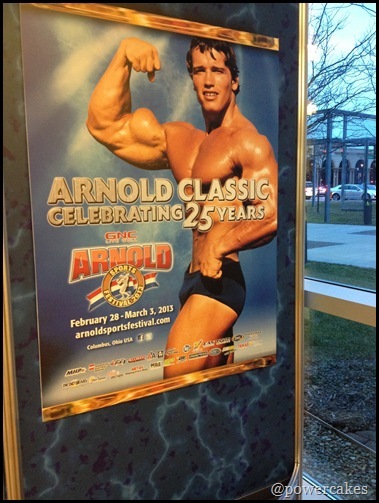 Today I wanted to share with you my trip to the Arnold! or the “Awwwnold” – make sure you say it with a sweet accent. 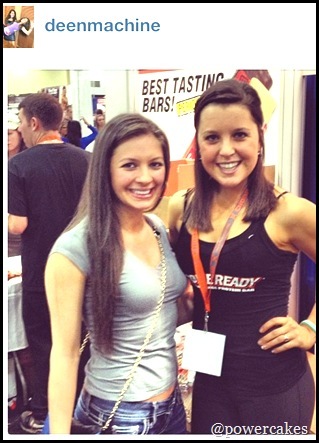 This was my second year working the Expo for the Crons Protein Bar booth. Being at the Arnold is always a good time because I get to see a bunch of people & make some awesome connections! Every year this expo get bigger & this year was no exception. At one point (before I realized we had our own hallway to a bathroom) it took me about 40 minutes to get to the bathroom & back! There were so many people in each isle that it took forever. 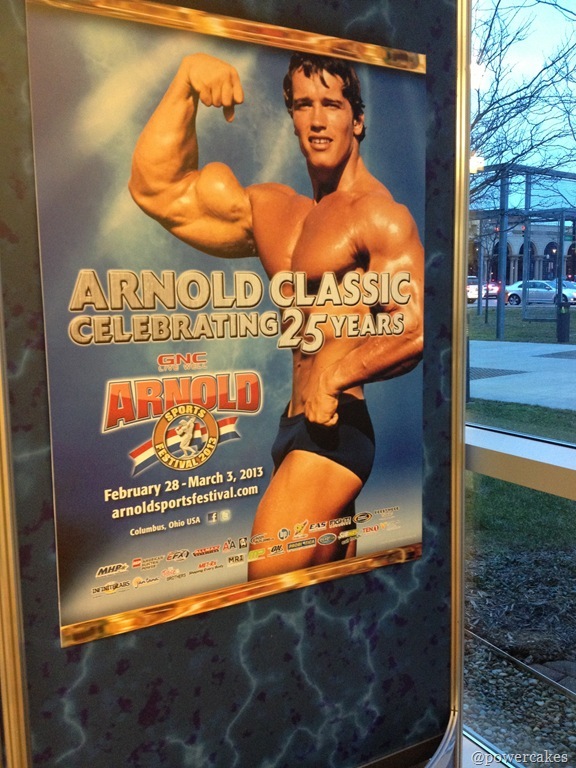 If you have Closter phobia issues – the Arnold may not be a place for you during a Saturday Afternoon! But, at some points it did slow down & I was able to snag some pics with some favorites! Like I said here, I almost didn’t make it this year due to a nasty head cold. I was glad I made the trip even if I wasn’t 100%! I got to see some beautfiful people & spend time with my best friend Kate who lives in Columbus! Ready for pictures? We all know I love pictures. 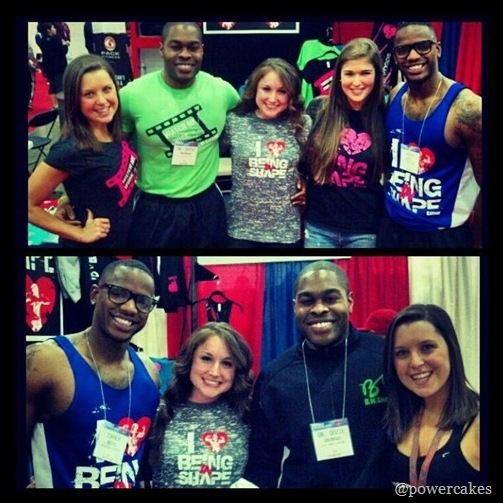 It’s funny because when I introduce myself to someone I recognize I always say hi I’m Kasey…(insert pause & smile)…Powercakes! 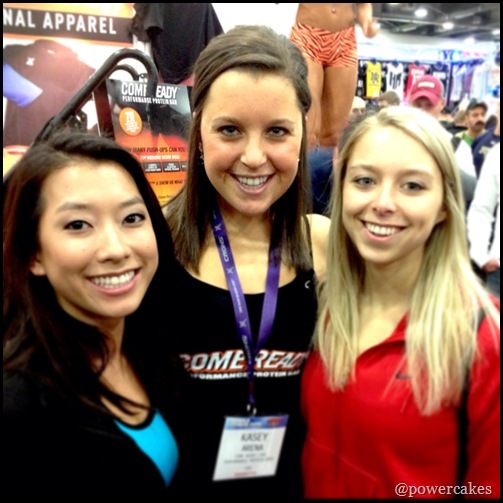 Most of the time they are like OH YES Powercakes, I know you! – not that I’m that cool, just that most of us know each other by twitter handle or blog name! Thank you social media. This is IFBB Bikini Pro Skye Taylor – talk about a sweetheart! We worked across from each other the whole weekend & I was so excited to introduce myself to her! Let me introduce you to Chelsey! She and I worked together last year. She is a beautiful girl who blogs over at www.findyourstrong.net! 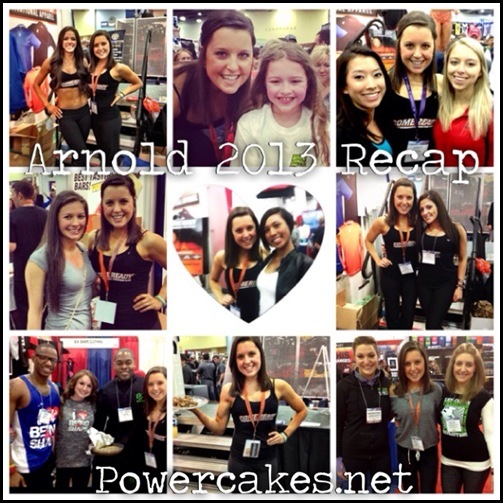 She also competed in the Arnold Classic bikini division and did so great! What an accomplishment. We both agree on so many motto’s – especially finding YOUR strong & be true to YOU. It’s all about finding what works for YOU & we both live by that. I met miss @FitAsianBeautyy – SO SWEET!! 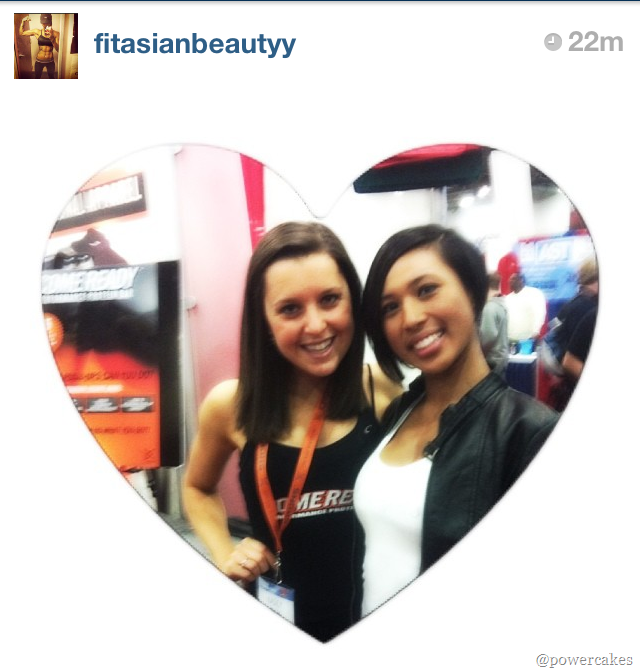 She got my attention while I was standing on the push-up stage & I was overwhelmed with happiness to talk to her! She is 3 weeks out from her first show & looks amazing! 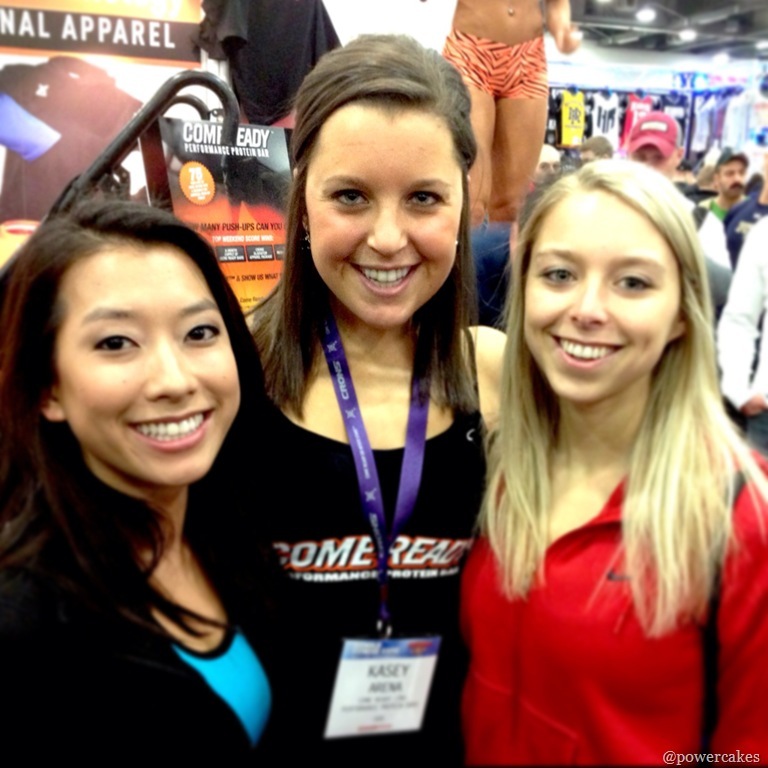 I got to see my adorable girls @Vmfitness & @CEF0908! Ironic thing is Christen and I went to college together but met after I graduated! Such a small world. Got to see the lovely daughters of @toscareno, Rachel & Kiersten! Tosca made the pic – look up! 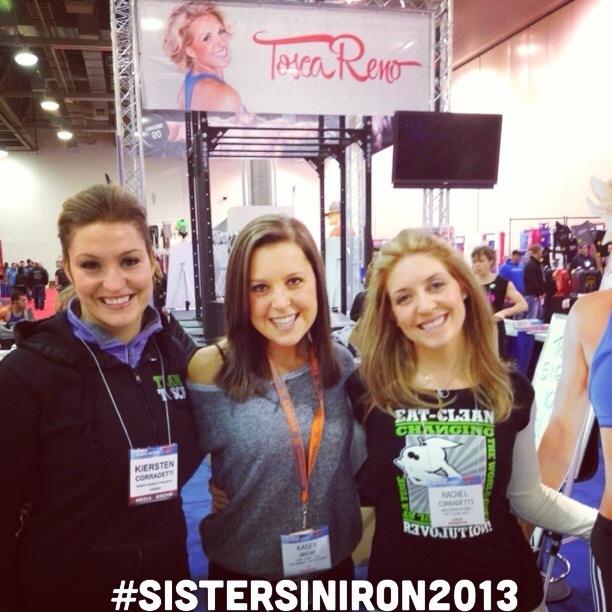 Don’t forget to tag your selfie pics with #sistersiniron2013 for International Women’s Day With Tosca Reno! I have to give a special shout out to @DeenMachine – this girl is SO ADORABLE. She searched to find me and I was so overwhelmed with love from her! When we started talking we had an instant connection and I felt like I’ve known her forever. She totally made my day with her kind words & I will always remember this moment! 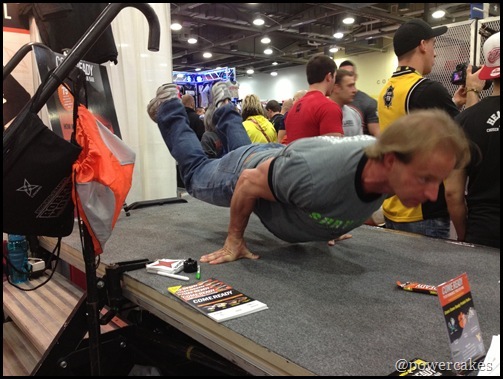 Every year CRONS has a Push-up contest stage that we run! 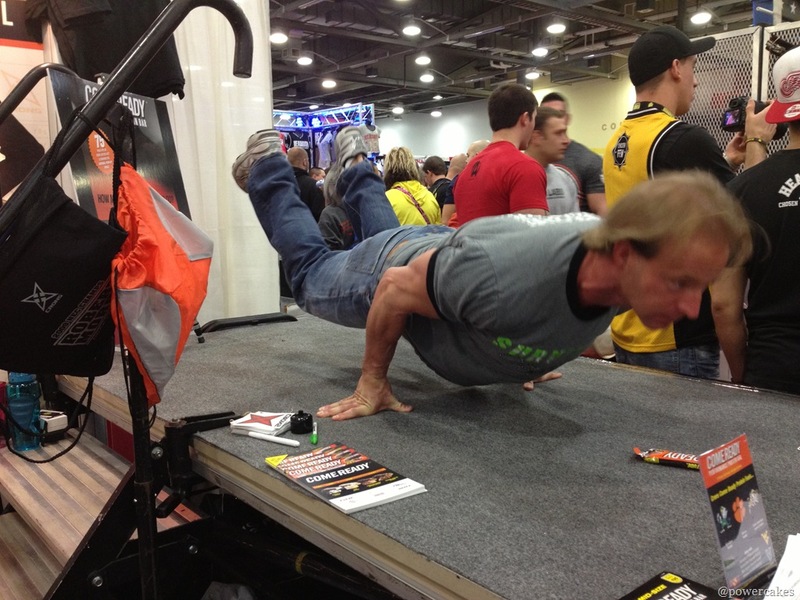 You have to get 75 push-ups (for guys) & 50 (for girls) but the rules are that your chest has to touch the bar! 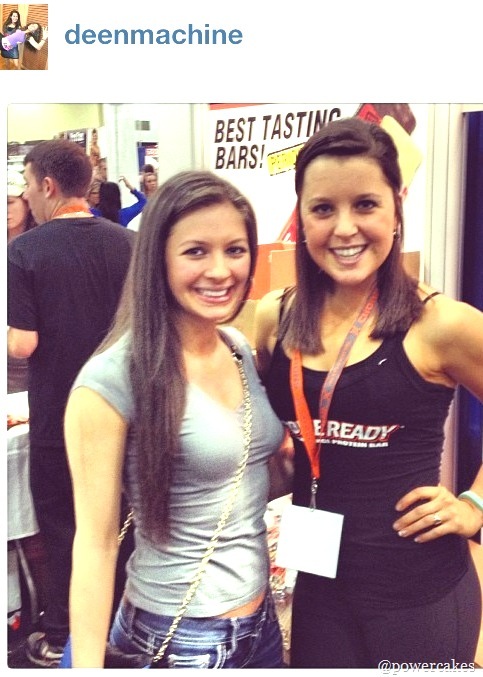 (the protein bar on the stage, that is) So it goes from most people going “Oh, only 75! ?” to literally some of them failing once they hit 40 because of the “chest to floor” add in! 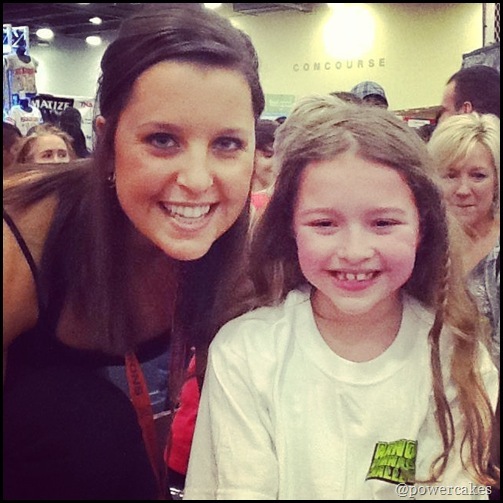 Meet Rosie – she is a 7 year old gymnast (reasons why I wish I could go back and stick with gymnastics) who is super inspiring! She is so strong & ended up doing 139 push-ups! 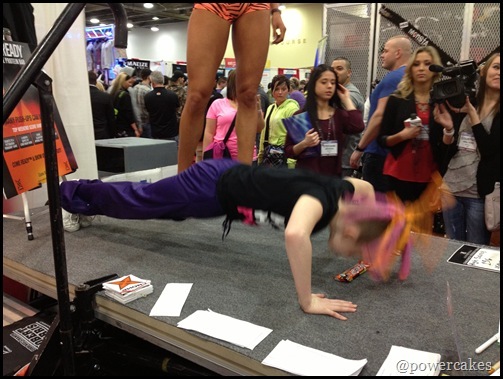 In all honesty, her chest didn’t touch the floor each time but regardless – she did more push-ups than most! She is way too cute & so strong!! 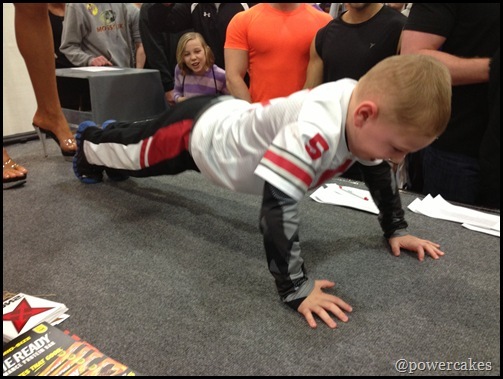 Rosie wasn’t the only little one that rocked the push-up contest! 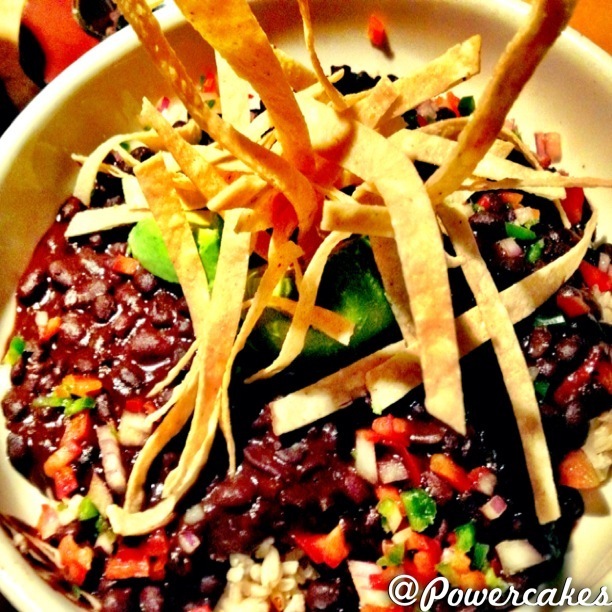 Check out these other power kids! Chelsey with the adorable little girl who was more into yoga than push-ups! This strong man did them his way & I was amazed. Obviously couldn’t go the whole weekend without seeing my BN SHAPE boys! For Dozie’s birthday – our BN SHAPE family surprised him by making him this motivational video! It was such an awesome weekend & I am so blessed to have met & see so many of my favorite people! Now, did you think I’d go without showing you some Arnold EATS!? 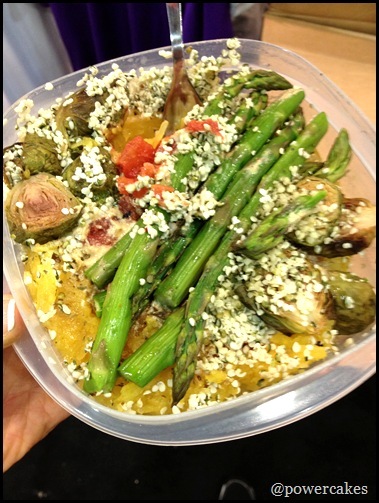 Of course I brought my powerbowl Tupperware style = spaghetti squash topped with organic tomato sauce, nutritional yeast, & hemp seeds. Along with some asparagus & roasted brussels! 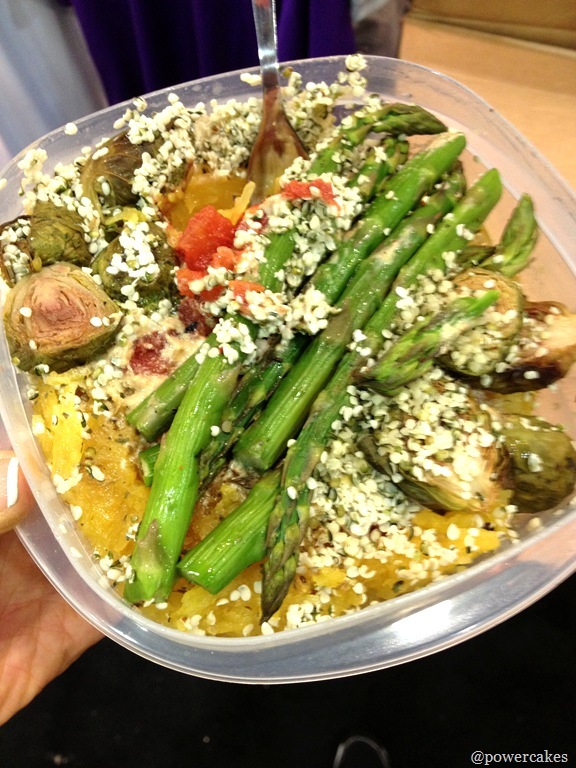 Not the prettiest but very delicious and nutritious! Every day after the convention, like clockwork, Kate would pick me up & we’d drive down the street to Northstar Café. OH.EM.GEE. this place is UNREAL! 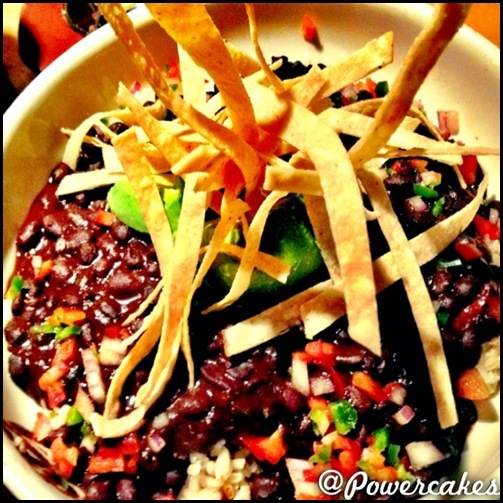 This was brown rice POWERBOWL with black beans, pico, & avocado topped with gluten free tortilla strips! 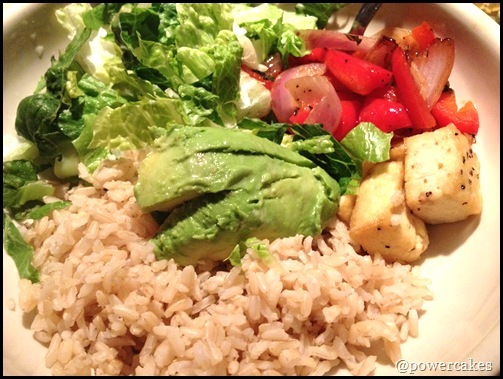 classic salad, & seared TOFU (ok, so I’m not a big tofu fan but this stuff was amazinggg) with avocado on top! 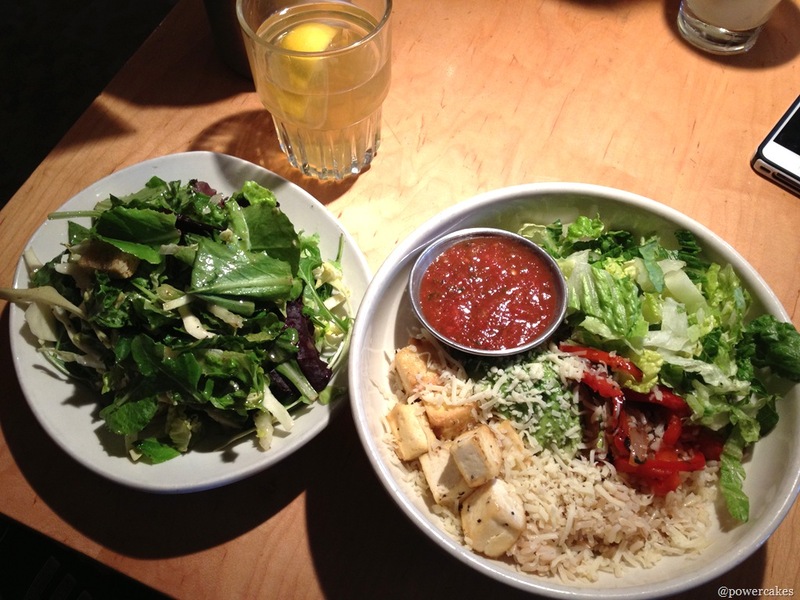 Night 3… (yes we ate here 3 days in a row) was the same BOWL with added salsa & side of simple salad, with green tea & lemon! If you are in the Columbus area I highly suggest this place – it was so good. Hope you enjoyed my recap! 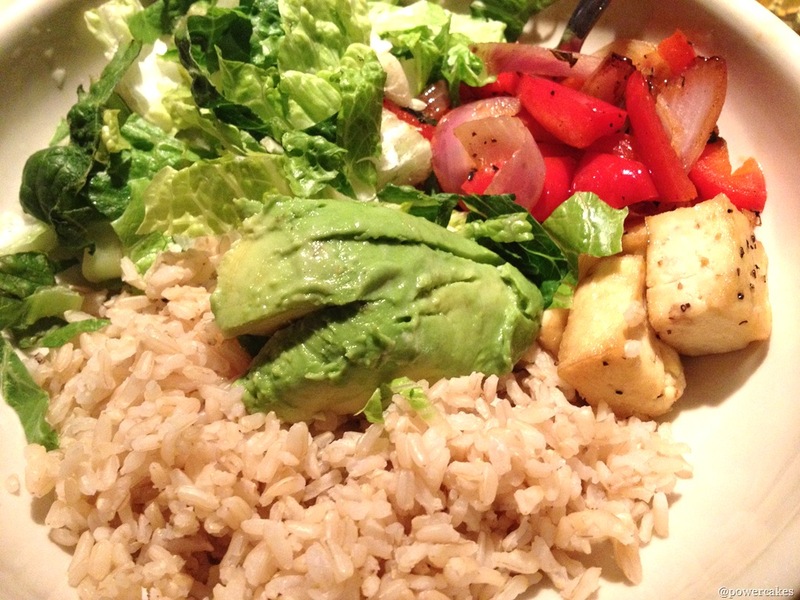 More things to come this week with reviews, recipes, & typical Kasey posts! Northstar is sooooo good! I’m not usually one to get pop, but their Ginger Ale so amazing. Ahhh Kasey! Thanks so much for the special shout out!! Once again, you have made my day and I am SOSO happy we met! I’m glad you enjoyed Columbus- especially North Star, my favvv restaurant! 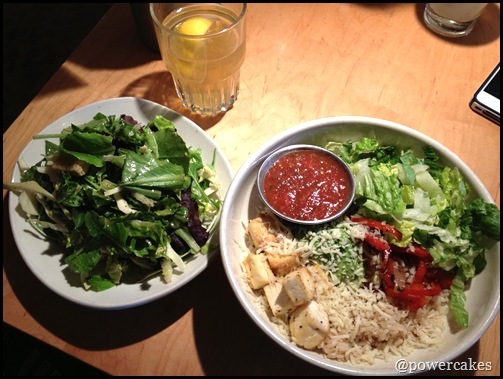 I’m not surprised you went there three days in a row with all their Power bowls (I’m sure you could give them a tip or two with some of yours ;)) I usually have to refrain myself from going once a week hehe. I know your best friend lives in Columbus, but if you are ever down here I’d love to hang out or support you in whatever you might be doing so feel free to holller at me! Also, super pumped for your new business endeavors! Keep up your hard work that keeps inspiring all of us!